The Presidential Range comprises seven mountains—all named for U.S. presidents—situated within the picturesque White Mountains of New Hampshire. Mount Washington is the highest peak in this contiguous, twenty-five-mile line of granite summits, precisely positioned where high altitude systems from the Great Lakes and Canada collide with warmer air from the southern states and eastern Atlantic. As a result, the unpredictable weather can turn deadly in winter, renowned for sub-zero temperatures and the fastest wind gusts on earth. In summer, the conditions are much calmer, affording spectacular views in all directions on a clear day. A small stone hotel was built atop the mountain in 1853, followed sixteen years later by a cog railroad, the first in the world. In the early 1870s, the old hotel was replaced by a cushier one, as tourism began to take root throughout the United States. 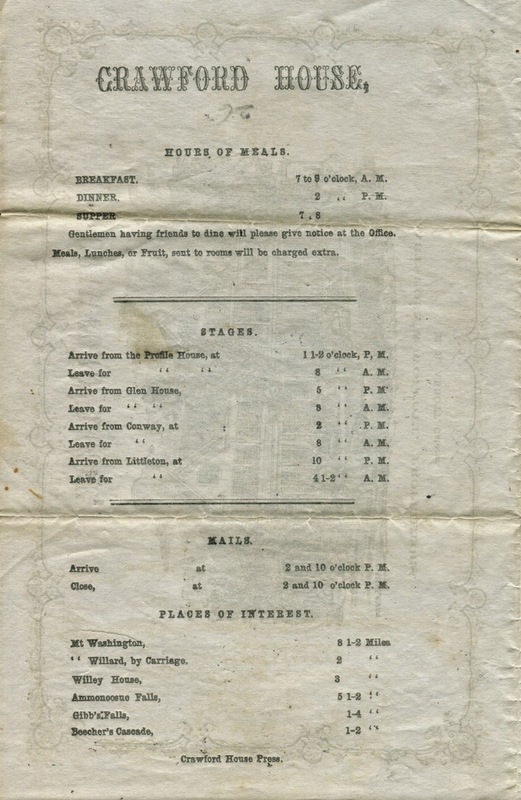 After the Civil War, a large portion of the country’s wealth was used to expand the railroads and build hotels, making it possible for even moderately well-to-do Americans to take long, leisurely vacations. 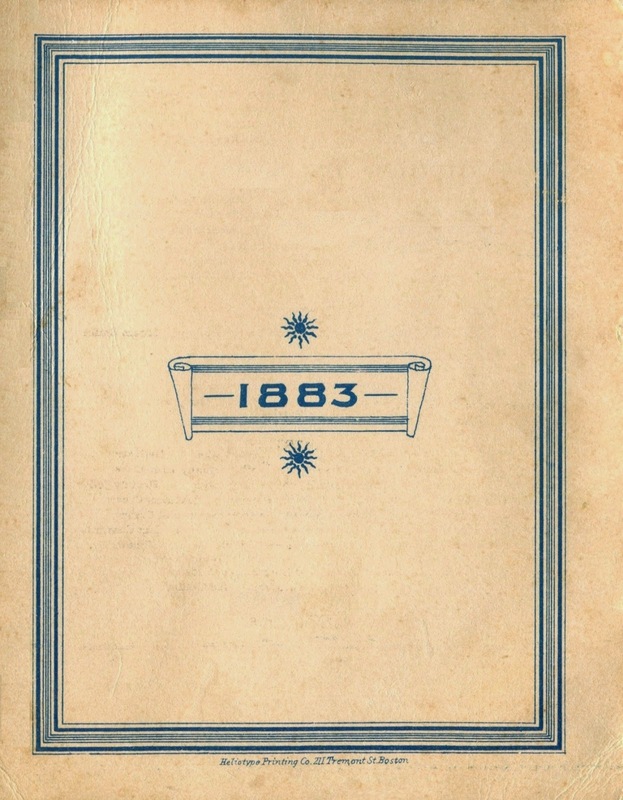 The early resort hotels offered a similar variety of languid diversions, such as playing croquet on the front lawn, taking carriage rides to see the local sights, or simply lazing away a hot afternoon in the shade of a gazebo. Still, people traveled in all directions to partake in these summertime rituals. For holiday “excursionists” who loved the beach and strolling along the boardwalk, there were places like Atlantic City, Cape May, Ashbury Park and Long Branch. 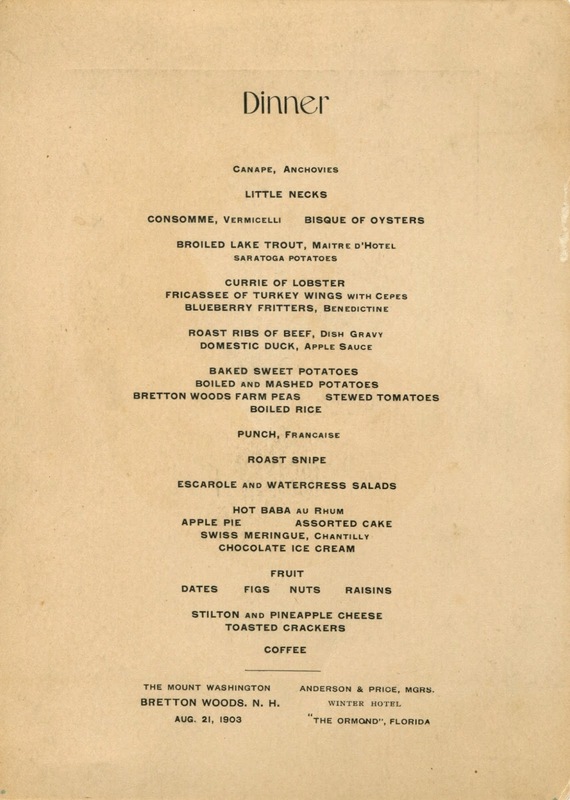 Church groups flocked to campgrounds on Martha’s Vineyard and Ocean Grove, while high society packed their trunks for the fancy dress balls at Newport, the hops at Bar Harbor, and the horse races at Saratoga Springs. 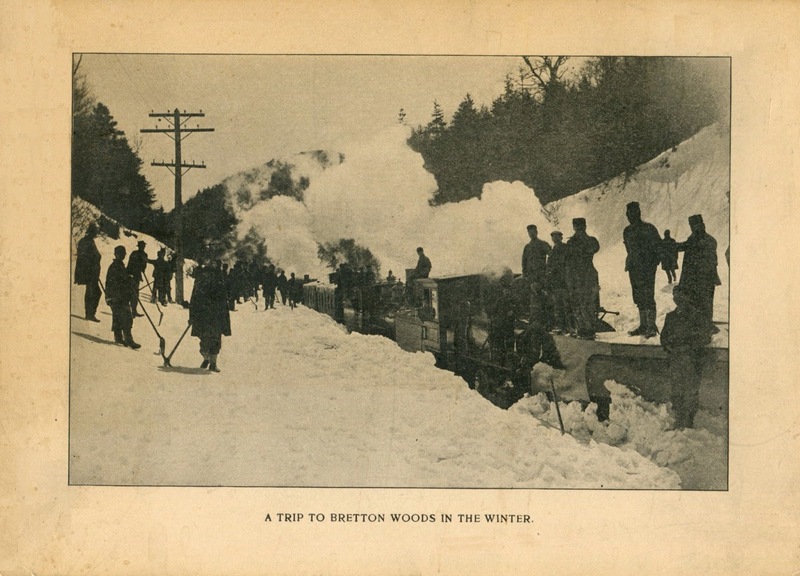 Those seeking cooler climes took trains to the Catskills, the Adirondacks, Vermont’s Green Mountains and the White Mountains of New Hampshire, where some say it all began. 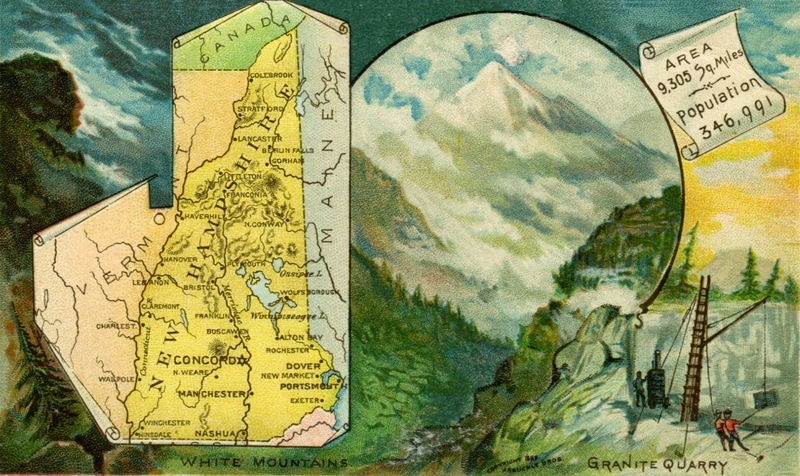 In addition to brisk air and dramatic scenery, the absence of pollen was one of the key reasons many people favored the White Mountains in summer. 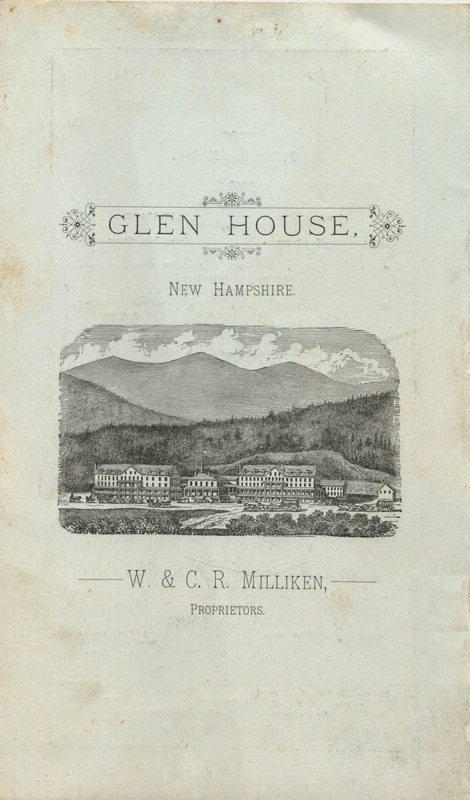 In his best-selling travelogue A Walk in the Woods, Bill Bryson describes the grand hotels that once dotted the valleys of the Granite State. 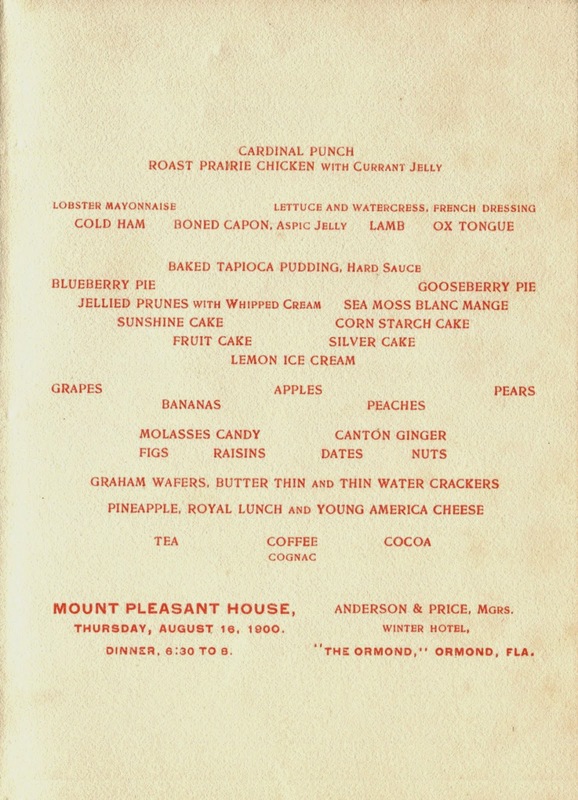 Excerpts from the book appear below, along with seven menus from these fashionable resorts during their heyday. 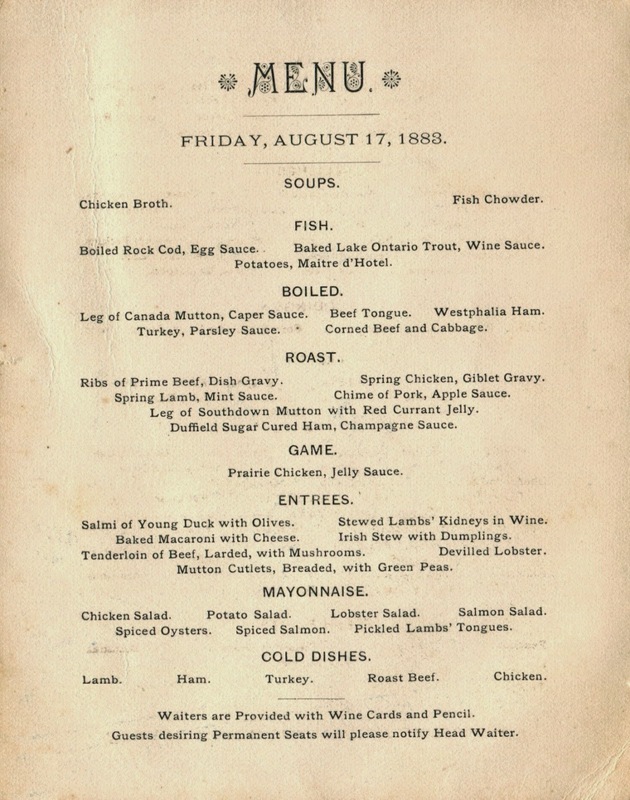 Although the cuisine is typical for the era, the menus contain a few small surprises, such as the lingering presence of an old-fashioned American wine or of an uncommon reoccurring dish that may have been a house specialty. They also reflect various aspects of the budding tourist industry, including the introduction of more vigorous leisure activities. “The modern tourist industry, in the sense of people traveling en mass to a congenial spot and finding lots of diversions awaiting them when they got there, is essentially a White Mountains invention. Massive hotels, with up to 250 rooms, sprang up in every glen. Built in a jaunty domestic style, like cottages blown up to the scale of hospitals or sanitoria, they were exceedingly ornate and elaborate structures, among the largest and most complicated ever built of wood, with wandering rooflines robustly punctuated with towers and turrets and every other mark of architectural busyness the Victorian mind could devise. They had winter gardens and salons, dining rooms that could seat 200, and porches like the promenade decks of ocean liners from which guests could drink in the wholesome air and survey nature’s craggy splendor. 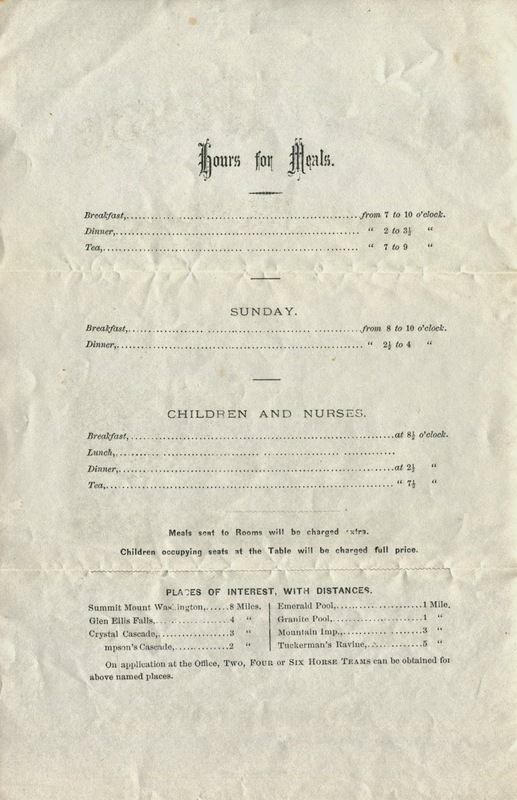 “The fine hotels were very fine indeed. 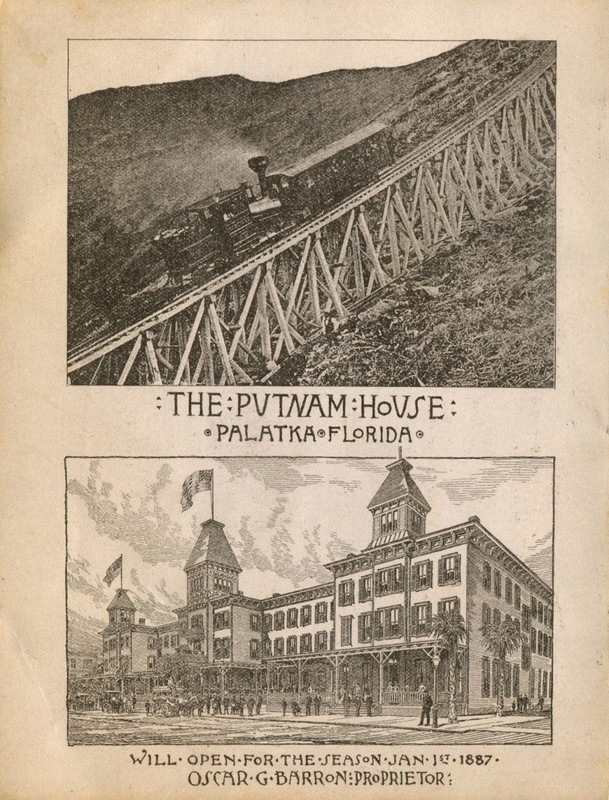 The Profile House at Franconia Notch had its own private railway line to Bethlehem Junction eight miles away; its grounds held twenty-one cottages, each with up to twelve bedrooms. 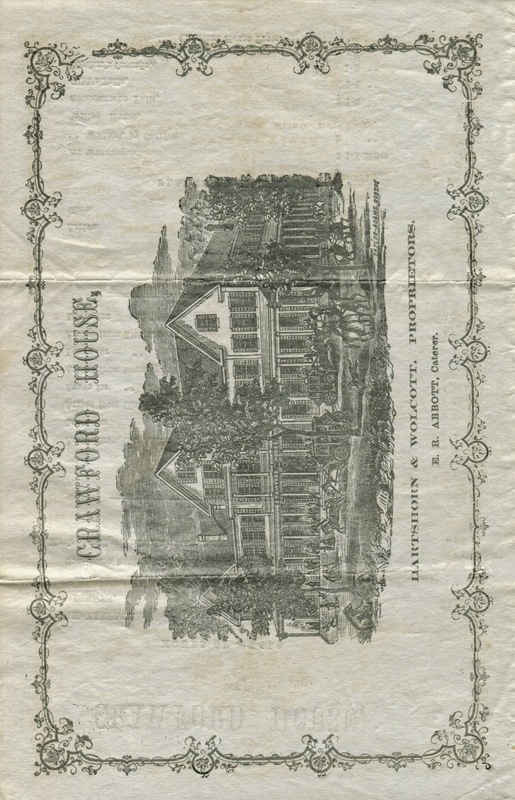 The Maplewood had its own casino. 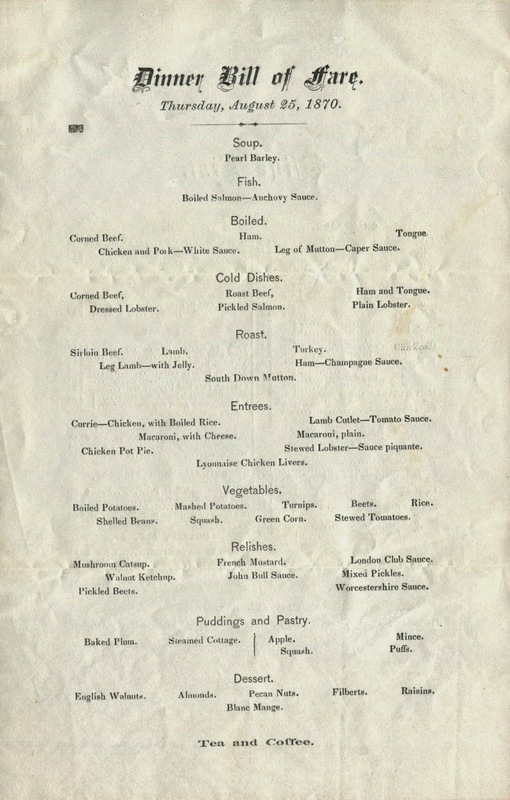 Guests at the Crawford House could choose between nine daily newspapers from New York and Boston, shipped in specially. 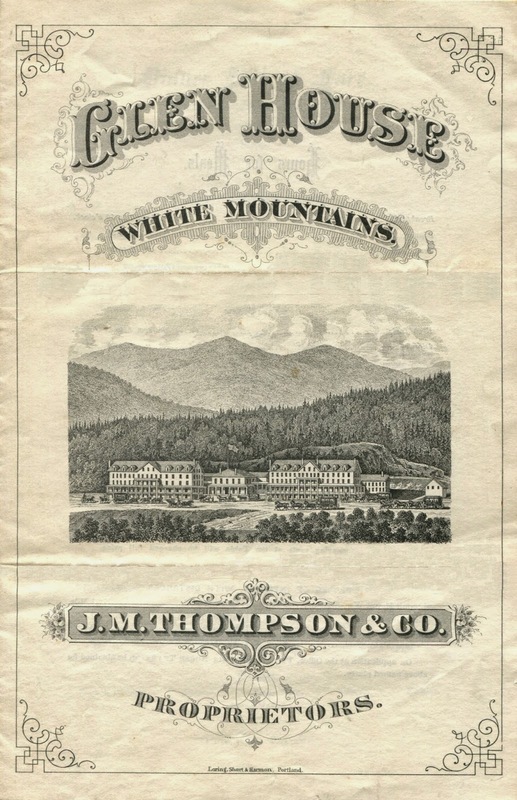 Whatever was new and exciting—elevators, gas lighting, swimming pools, golf courses—the White Mountain hotels were in the vanguard. 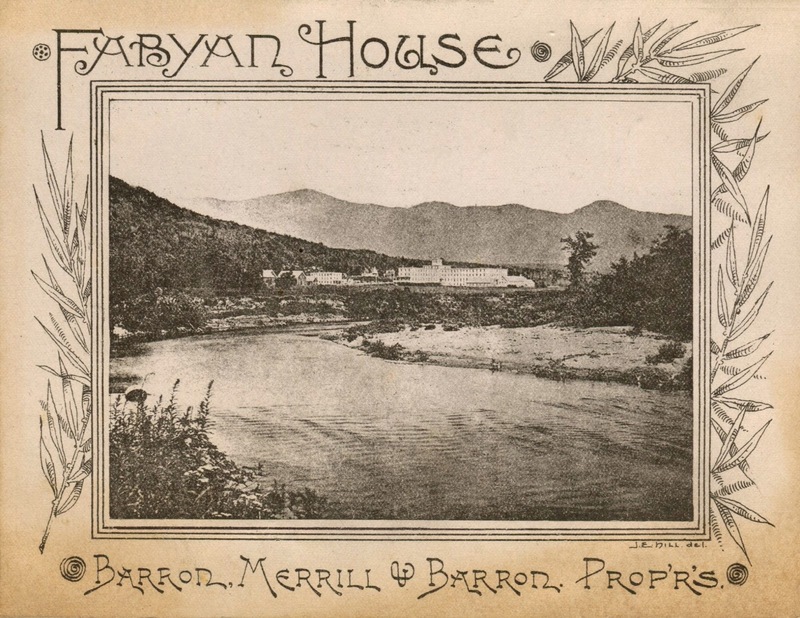 By the 1890s, there were 200 hotels scattered through the White Mountains. There has never been a collection of hotels of comparable grandeur anywhere, certainly not in a mountain setting. Now, however, they are virtually all gone. 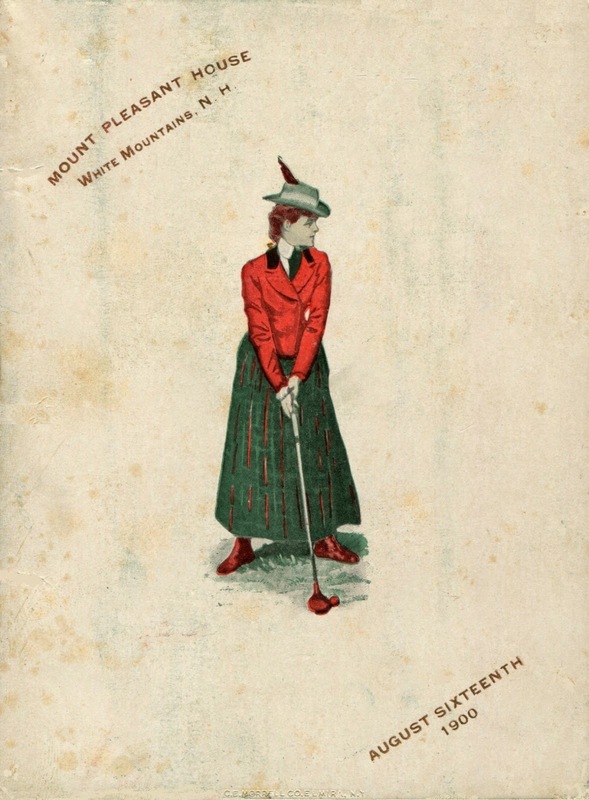 “In 1902, the grandest of them all, the Mount Washington Hotel, opened at Bretton Woods, in an open, meadowy setting against the backdrop of the Presidential Range. Built in a commanding style described optimistically by the architect as ‘Spanish Renaissance,’ it was the pinnacle of grace and opulence, with 2,600 acres of cultivated grounds, 235 guest rooms, and every detail of finery that heaps of money could buy. For the plasterwork alone, the developers brought in 250 Italian artisans. But already it was something of an anachronism. “Fashion was moving on. American vacationers were discovering the seaside. The White Mountain hotels were a little too dull, a little too remote and expensive, for modern tastes. 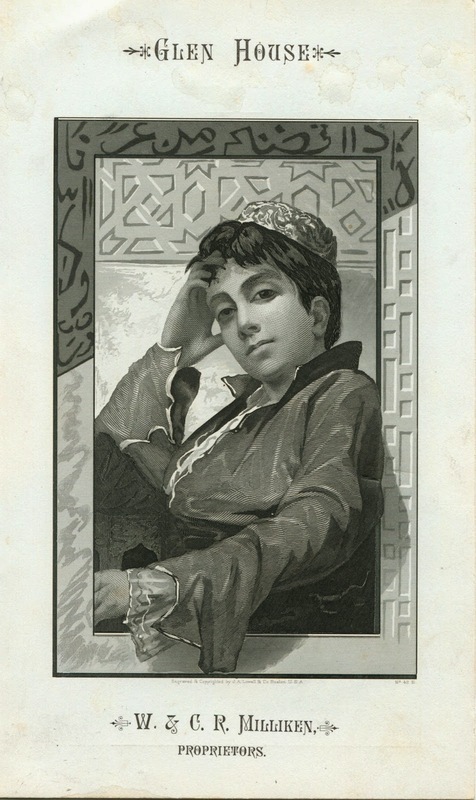 Worse, they had begun to attract the wrong kind of people—parvenus from Boston and New York. Finally, and above all, there was the automobile. The hotels were built on the assumption that visitors would come for two weeks at least, but the car gave them a fickle mobility. 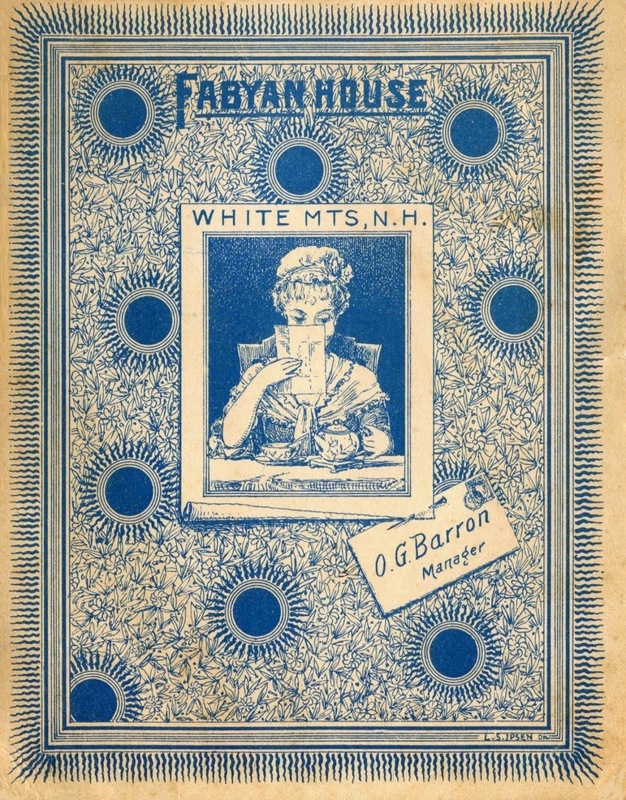 In the 1924 edition of New England Highways and Byways from a Motor Car, the author gushed about the unrivaled splendor of the White Mountains—the tumbling cataracts of Franconia, the alabaster might of Washington, the secret charm of little towns like Lincoln and Bethlehem—and strongly urged visitors to give the mountains a full day and night. America was entering the age not just of the automobile but of the retarded attention span. “One by one the hotels closed down, became derelict, or more often, burned to the ground (often, miraculously, almost the only thing to survive was the insurance policy), and their grounds slowly returned to forest. Once one could have seen perhaps twenty large hotels from the summit. Today there is just one, the Mount Washington, still imposing and festive with its perky red roof, but inescapably forlorn in its solitary grandeur…Elsewhere across the spacious valley far below, where once had proudly stood the Fabyan, the Mount Pleasant, the Crawford House, and many others, today there are only forest, highways, and motels. Henry, you pulled so much together for this one. 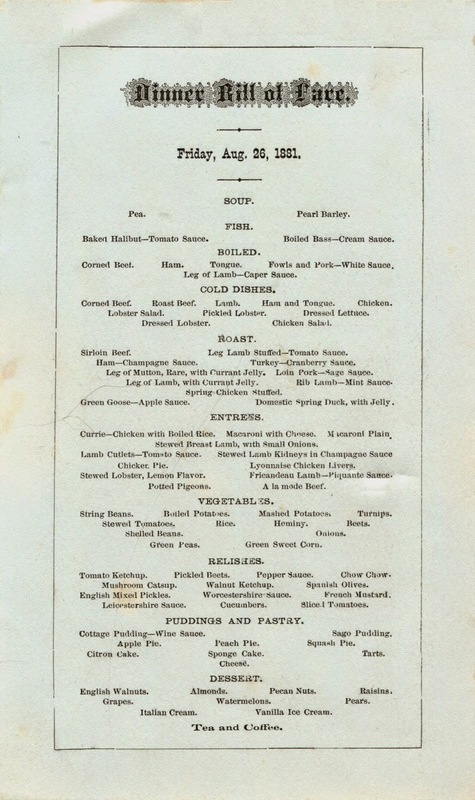 Quite a collection of menus! 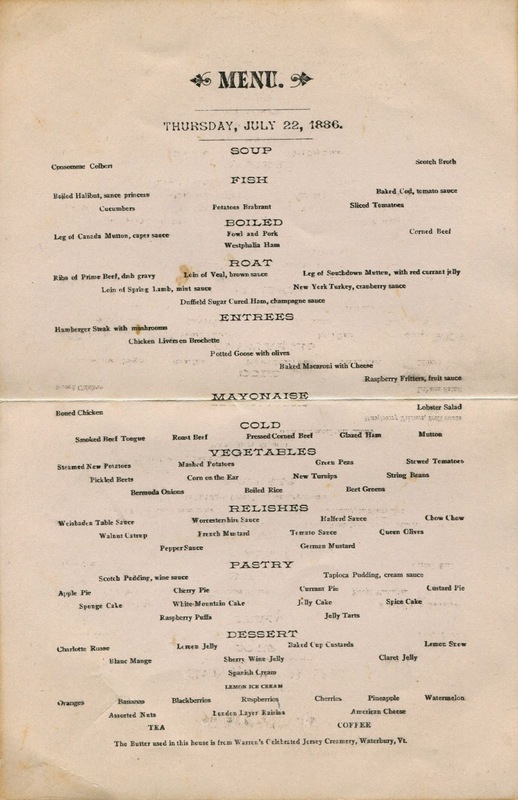 Overall the dishes sound like they are very plain, explaining the need for the great number of relishes and sauces. 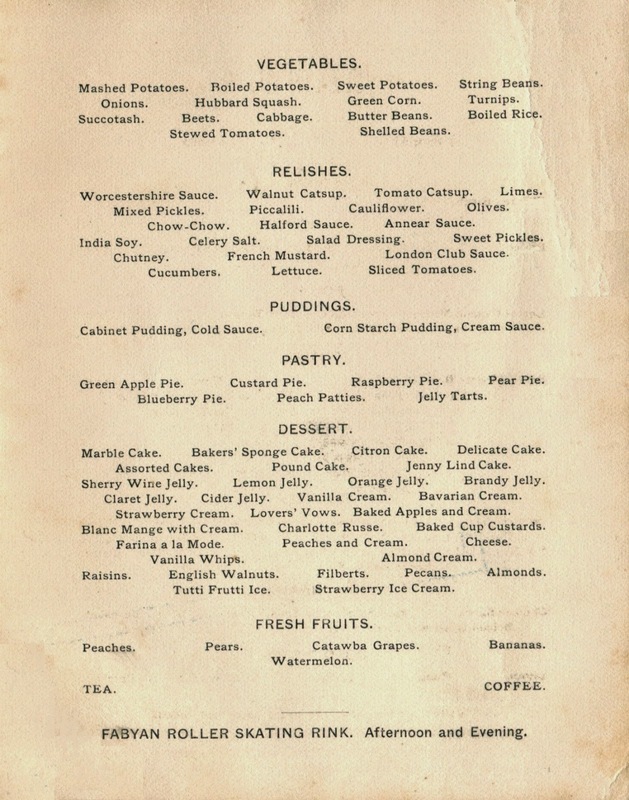 The pastries seem like the high points of the meals. Great post Henry! 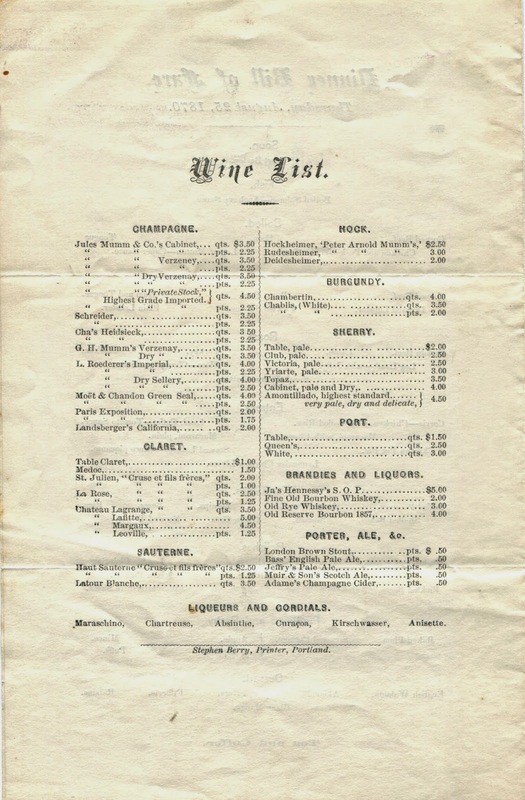 Particularly enjoyed the wine lists with labels we can still buy 100+ years later. Think France was on the metric system by this time so curious about the pints and quarts on the lists. 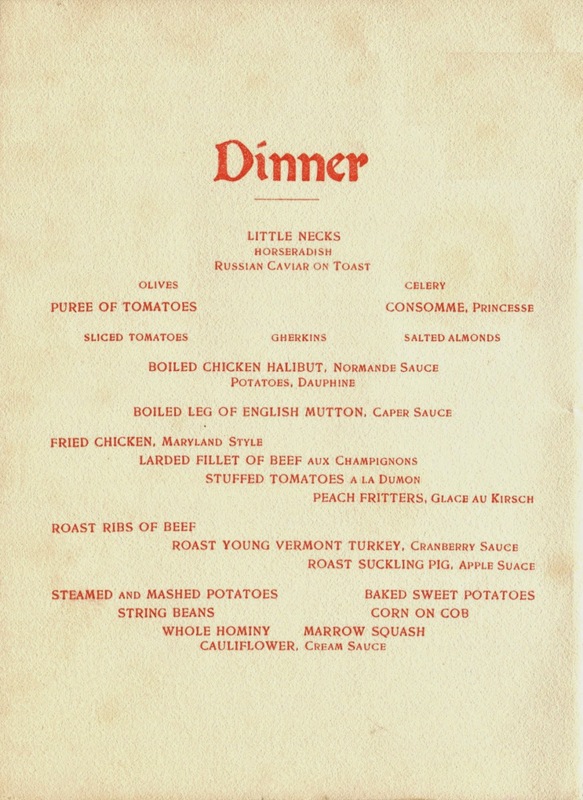 Have read the Bryson book and the menus make a terrific marriage to it! 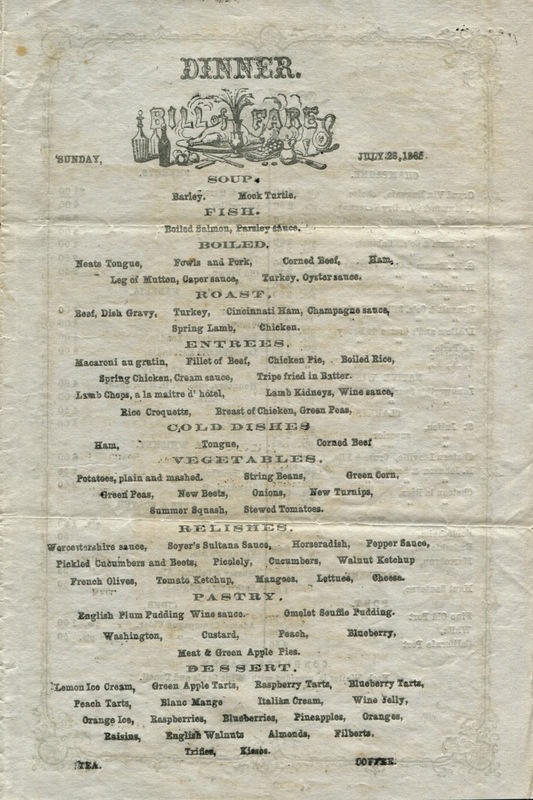 Also interested in the popularity of boiled meats! Very excellent Henry - it is impossible to comment sans superlatives here. 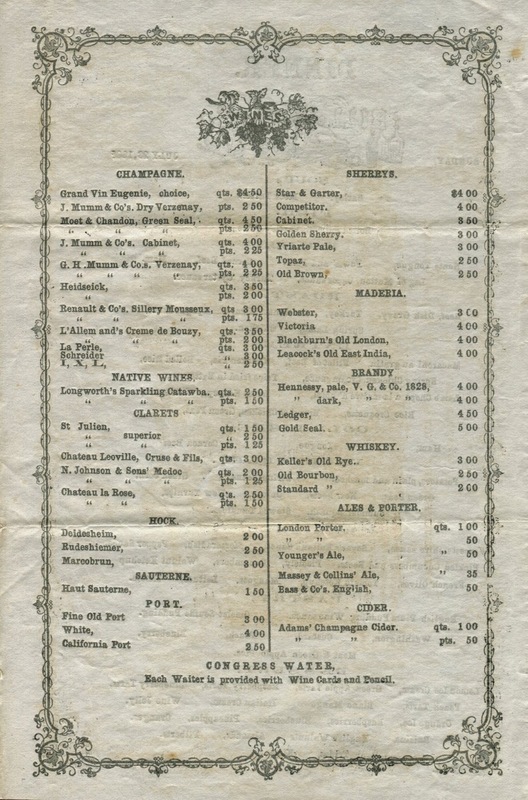 Thanks much for the wine lists, all the beer types mentioned: brown stout, London porter, pale ale, Scotch ale, and lager, which was new then, are available today and probably within the same state, which is the bounty of the craft beer revolution: what is old is new again. One is struck, too by the availability of old bourbon and old rye whiskeys - these drinks had only been been invented in the previous 50 years or so, yet had acquired the veneration of age and being classed with Cognac and Scotch Whisky. Only in America, but the drinks have lasted, and how. I drove through the White Mountains many years ago and was struck by nothing so much as their emptiness. Grandeur there was, but it was stark. I was glad to be out of them as car trouble, in those pre-cell phone days (and who knows if cells work there even now) might have left us in serious trouble. Maybe one of those hotels is still in operation, who knows, maybe Bryson missed the closing of one. 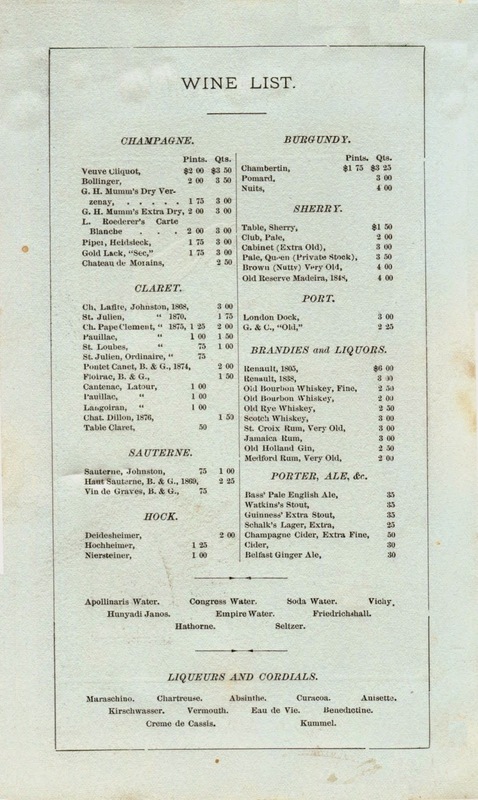 I'd like to visit one and who knows but that a bottle of '57 (that's 1857) Romanee Conti, or a cork-stoppered "London Brown Stout", nay an "Old Rye Whiskey", might be secreted in a basement nook, you never know. Hope springs..., eh? Could you please get me some of those blueberry fritters Benedictine? Honestly, what a great New Years present to have this to read. Remarkable how they came and left in such a short time. So much beauty there --- but when you think about it, they arrived because there was time to visit and soon there was never enough time and Vermont was so far away. Have a great New Years.